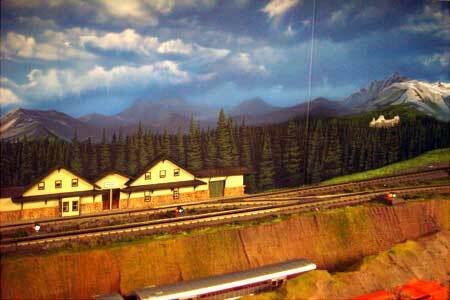 A backdrop from Dave Nussdorfer’s Hi-Rail CP/CN/SOO layout. It provides an excellent example of how realistic backdrops can be and add infinite depth to a layout, can you find the photo of the CP hotel at Banff? 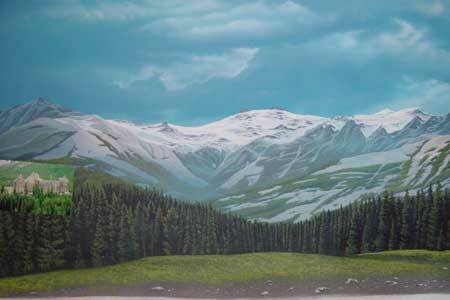 Note how it transitions into the painted picture. 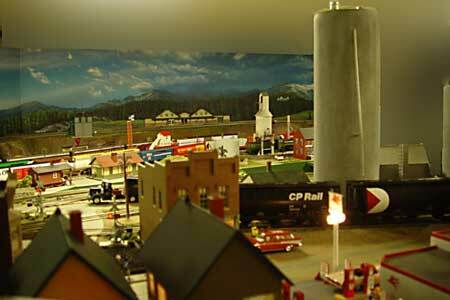 Banff depot with the CP Grand Hotel at Banff in the distance. 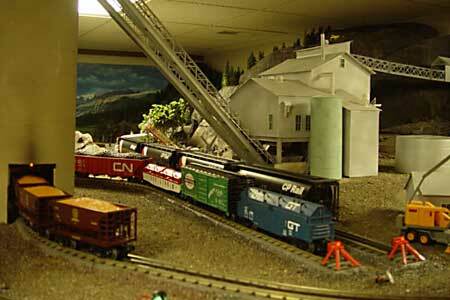 The track is MTH Real Trax. Grain is king in the plains of Manitoba! John Deere Ltd is busy enough for two stories here! 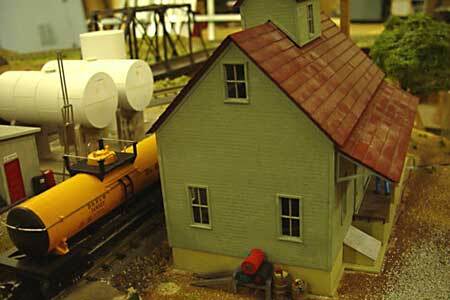 Dave’s layout and accessories are powered by both Lionel TMCC and the newest MTH DCS components. A beautiful view of the landscape. You’ll feel right at home here. 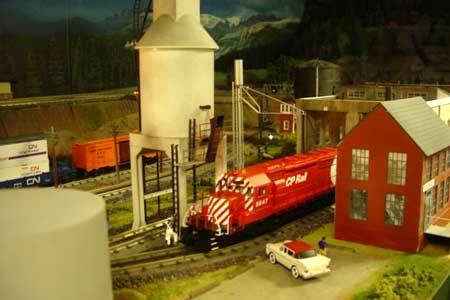 A large mining operation in Alberta. 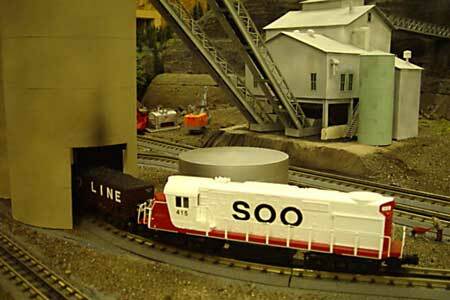 A visiting SOO SD40-2 at the Alberta Mine. 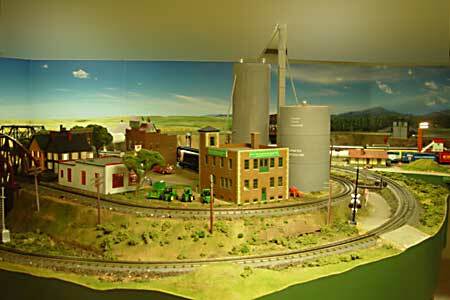 A small CO-OP out on the plains receives diesel and heating oil as well as seed and feed. 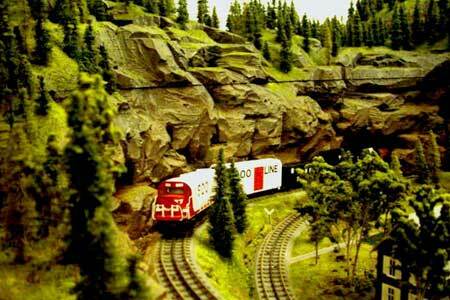 An MTH SOO ALCO climbs a grade with a freight local in the Canadian Rockies.